Our mission is to establish and support scholarships and leadership training programs which promote academic achievement and strengthen moral, social and community values. With that goal in mind, we are excited to report that through generosity of our donors, the TKE Educational Foundation has successfully closed the funding gap for the TKE Leadership Academy and all four RLC’s. Throughout the course of the 2017-2018 fiscal year, 2,450 Fraters and friends lent support to the TKE Educational Foundation through their generosity. The Foundation currently stands at $1,386,536.00 in contributions and commitments. The TKE Educational Foundation is committed to establishing and supporting scholarships and leadership training programs which promote academic achievement and strengthen the moral, social, and community values of our Fraters. The funds provided by your donations allow us to reach these goals and continue to create Better Men for a Better World. 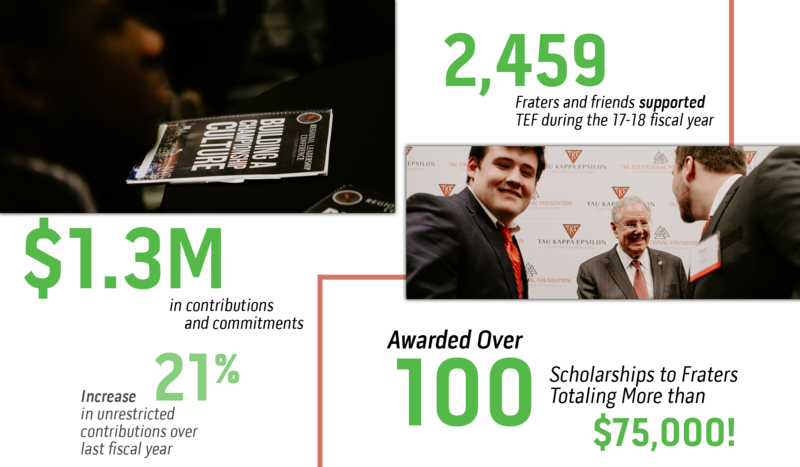 This fiscal year, the Foundation granted the Fraternity over $235,000 in support of the TKE Leadership Academy and Regional Leadership Conferences; more than double the amount granted last year. This grant allows the Fraternity to focus their limited funds on strengthening our organization in other crucial areas. Thanks to the efforts of TKE Nation, the Foundation has realized growth in unrestricted contributions and commitments, as well as documented planned giving. 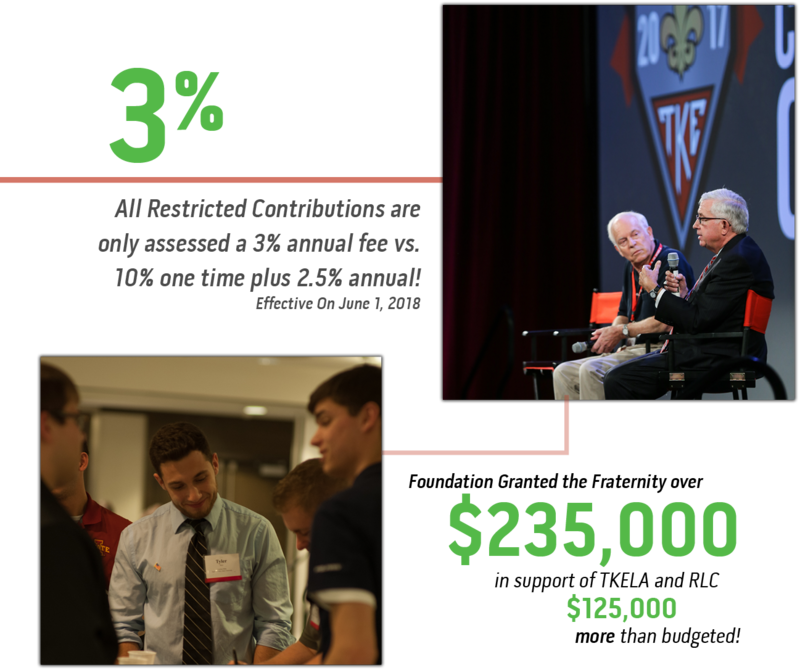 Combined with new unrestricted pledged commitments from donors, the TKE Educational Foundation has increased unrestricted contributions and pledged commitments by 92% from 2016-2017. In addition, the Foundation is taking steps to further maximize our impact by careful analysis of our efforts. This analysis allows us to make changes to benefit Tau Kappa Epsilon. 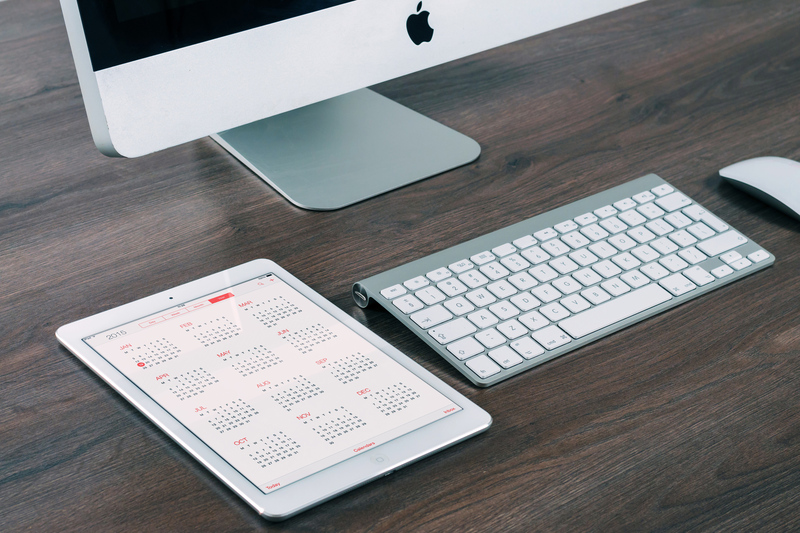 For example, we recently began working with a new portfolio manager in an effort to reduce fees and increase revenue for chapter allocation. In addition, effective June 1, 2018, the Foundation Board voted to eliminate the one-time 10% fee on all restricted donations for Special Projects, Scholarship, RLC and Leadership Academy. Along with this change, we have changed the annual fee on all funds to 3%. Thank you for your unwavering financial support and volunteer dedication to our beloved Fraternity. We believe that no other period in the life of a man is more suited to fostering the qualities exemplified by the Fraters of TKE, than during the years of his college career. Thanks to your support, the TKE Educational Foundation is able to make sure that generations of men to come will be given that opportunity.